Bus routes often change so why are so many bus stops built to last? 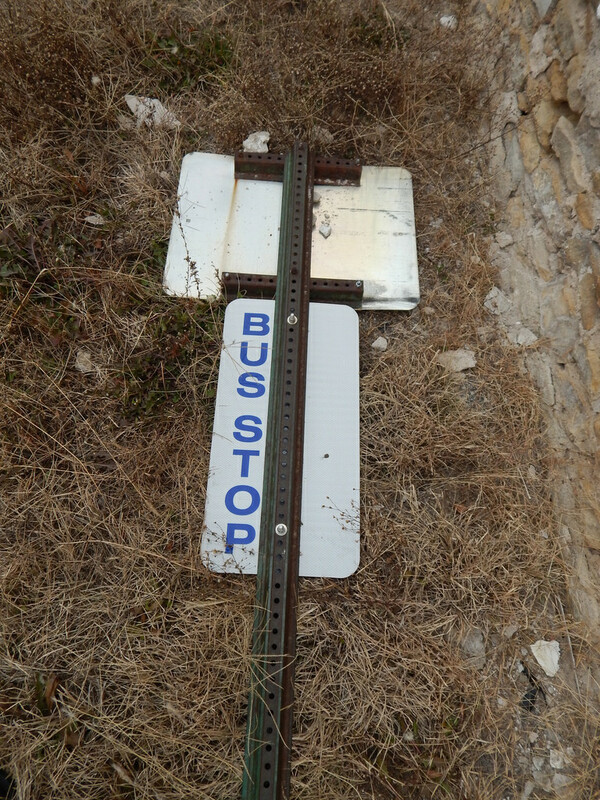 These 15 abandoned bus stops are prime examples of non-transient transit infrastructure. 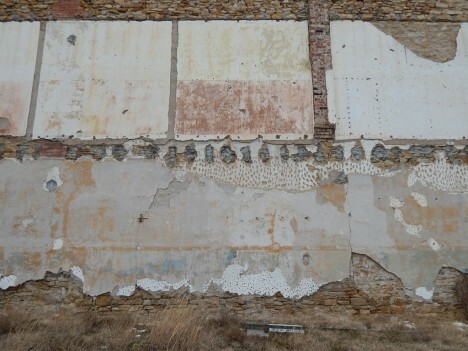 Wow, Topeka has really let itself go… well, some parts at least. 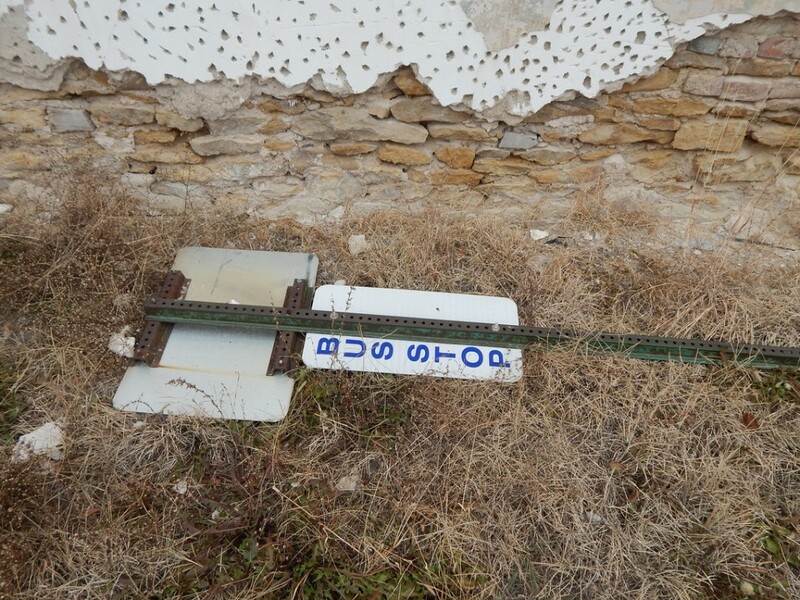 Flickr user Mike Linksvayer (mlinksva) captured the sorry state of this brazenly neglected and obviously abandoned Kansas Avenue bus stop on November 26th, 2014. 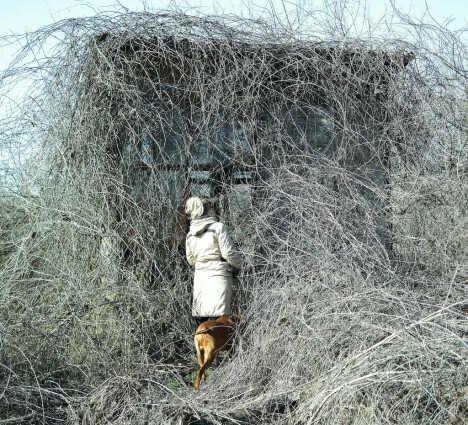 Flickr user Laszlo Ujvari snapped this naturally camouflaged abandoned bus stop on February 24th, 2013. No wonder it was abandoned: who the heck could find it? How long did it take for Mother Nature to consume this unnamed bus stop… and is there a similarly smothered bus filled with skeletons stranded nearby? The former East Germany is awash in abandoned infrastructure and, it would seem, unwelcome bus-riding Nazis. 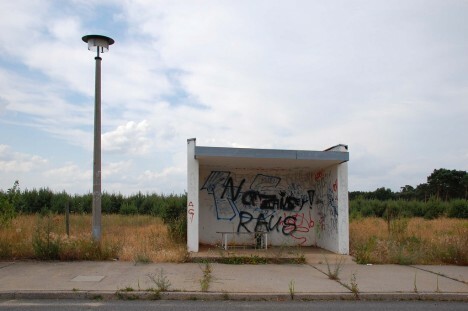 Flickr user Jim Cooper (stilo95hp) photo-documented this abandoned bus stop and complementary busted street lamp in Hoyerswerda, a gritty industrial town near the Polish border infamous for spates of anti-immigrant violence. So how’s that capitalism thing working out for you, post-communist Eastern Europe? 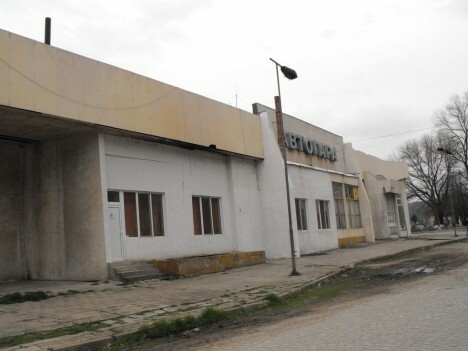 Flickr user Tony G. (trghpu 1994) caught this abandoned Bulgarian bus stop/station on January 18th of 2013. Why is it abandoned? 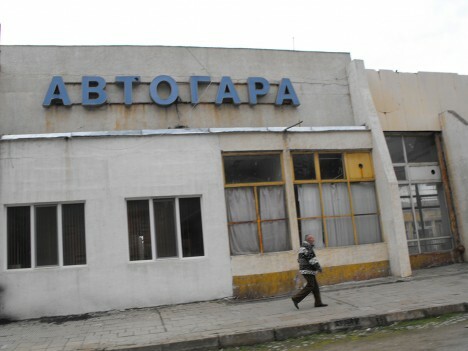 Well, most Bulgarians drive Bentley’s and Rolls Royce’s nowadays, dontcha know, making bus travel virtually obsolete. Yeah, that’s the (bus) ticket! Shrubbery waiting for a bus? 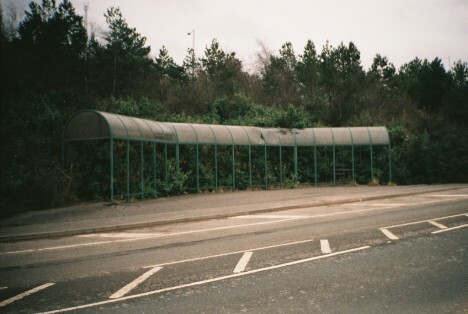 According to Flickr user Shawn Watson (gator_macready), this verdantly overgrown and rather large bus stop was abandoned shortly after it was built – never once did any buses stop there! Supposedly the bus stop was built in anticipation of an industrial district that never moved beyond the planning stage. Nice job of planning there, North Queensferry (Scotland) urban planners!